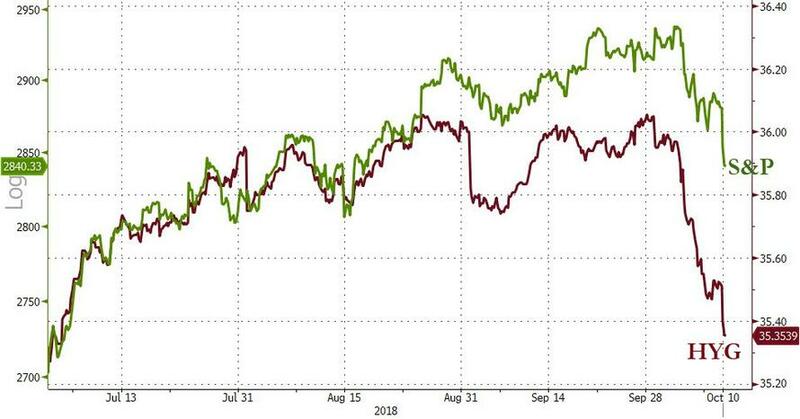 And, as Bloomberg's Lisa Abramowicz reports, it appears that money is flying out of corporate debt, from the riskiest to the safest bonds, at least based on ETF flows. 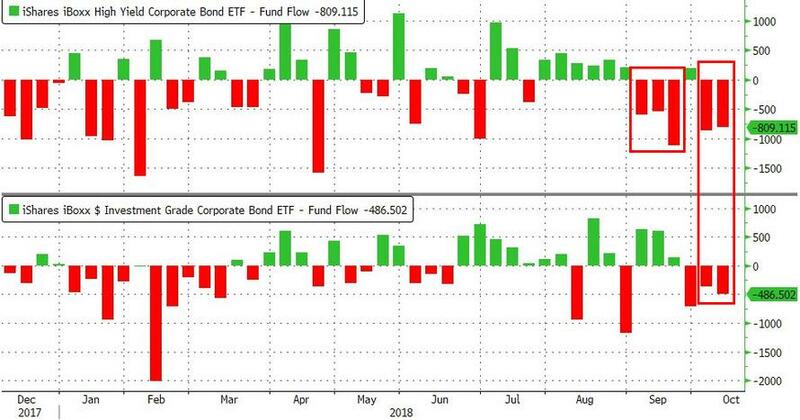 All fixed-income ETFs have seen $5.5 billion in outflows in the past week, "about 4 to 5 times worse than any other week in recent memory," according to Bloomberg Intelligence's Eric Balchunas. 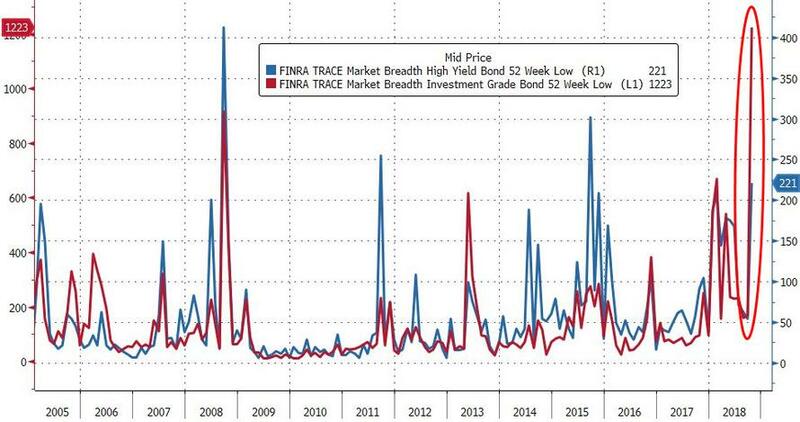 “Forecasts are for default rates to be lower over the next 12 months than over the last 12 months, so investors are not too worried,” said Fridson. 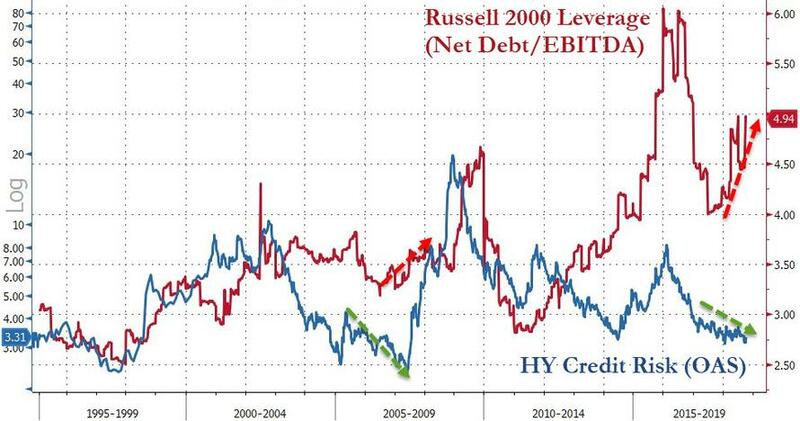 We wonder what those forecasts were like in 2007? 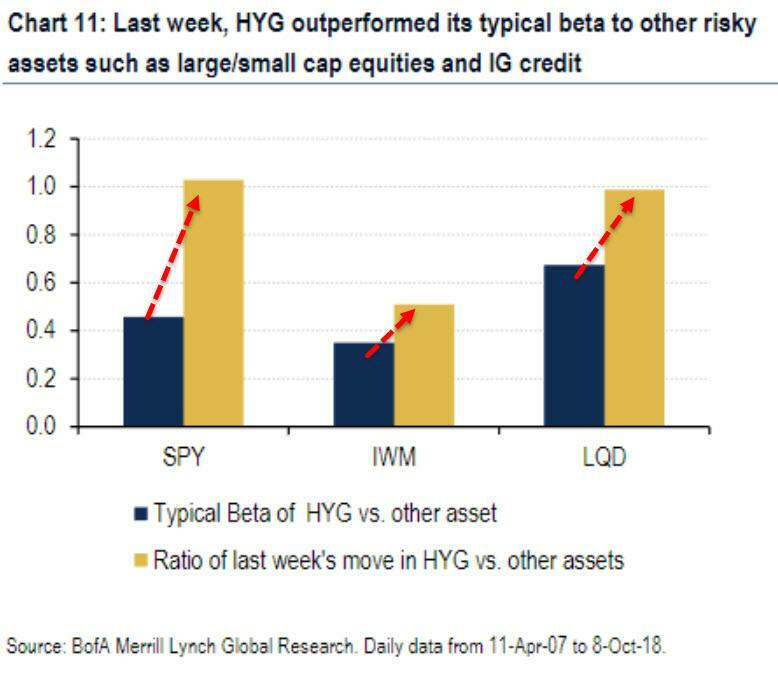 Stocks have only just begun to catch down to reality. 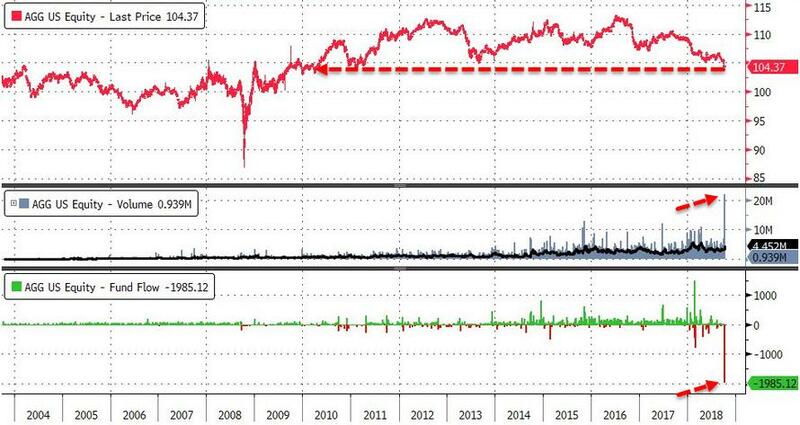 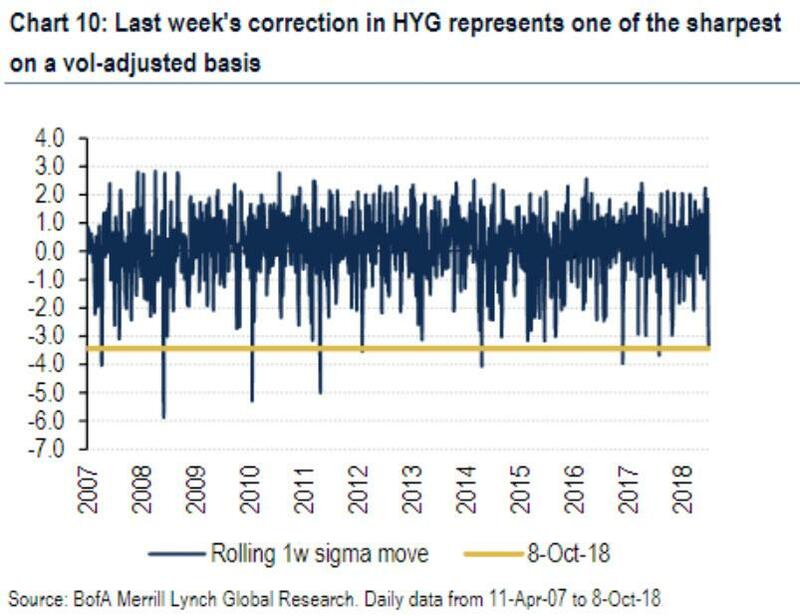 Yep - more new 52-weeks lows for HY bonds than in 2008!